Hollywood has been trying to channel the power of Grayskull for years now. Several filmmakers have attempted to bring He-Man and the Masters of the Universe back to the big screen, but nothing has stuck. Now, the latest incarnation has prolific superhero movie screenwriter David S. Goyer on board and a 2019 release date. Sony announced that a new Masters of the Universe movie would be released Dec. 18, 2019. Entertainment Weekly then confirmed that McG, who was announced as the director of the film in early 2016, is no longer attached but Goyer (The Dark Knight, Blade, Man of Steel) is now writing it. Goyer’s script is the catalyst that Sony hopes will attract not just A-list stars for the main roles, but a director as well. Some of those meetings are already taking place, according to EW. While a release date is usually a sure-fire sign that a film is actually going to be made, that isn’t necessarily the case with Sony. In the past, they’ve given dates to dozens of films that never ended up happening, like The Amazing Spider-Man 3, Bad Boys III, Sinister Six, and others. 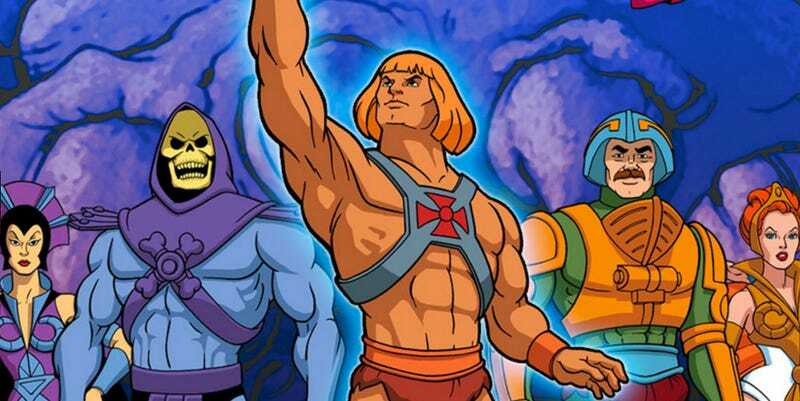 Really it just comes down to the question if Goyer can do what many before him have not been able to do: Figure out a way to bring He-Man, Skeletor, and the Castle Grayskull crew to modern audiences in a way that pays tribute to the original ‘80s cartoon and toyline but also pushes things forward.